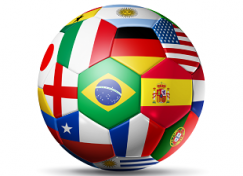 Even if you’re not typically a soccer fan, it’s hard not to catch a bit of soccer fever during the FIFA World Cup. The composition of a soccer team demonstrates the first of the key mindsets of effective collaboration. If an entire team was comprised of the most accurate strikers, they’d score a lot of goals, but wouldn’t be able to defend their own goal against the opposing team. If the team had all of the tallest and strongest center backs, they’d be able to block shots on goal and win the ball back, but they wouldn’t have an offensive to score their own goals. Instead, the strength of the team comes when it leverages diversity. Each player bring their unique skills to the field and they all know how to leverage the strengths of everyone on their team to reach the goal — literally. Successful collaboration is due in part to finding the right collaboration partners. Working with those we like is always easier, and research shows that we typically like people who are like us. Decisions are made more smoothly, delegating requires less explanation, and your opinion is usually considered right. If you’re trying to get a routine task accomplished, this may be an effective strategy. But if you want to achieve something bigger, better and more breakthrough, you need to build a team that leverages diversity! When it comes to building a successful team, be intentional about who you recruit. Seek out those who are different from you in expertise, experience, and personality. You each bring a unique and valuable piece to the bigger picture of the team, so be mindful of leveraging these differences. If you’re an extrovert, make space for the introverts to privately reflect and then invite their insights. If you’re a visionary, bring in a more tactical thinker to point out potential roadblocks. If you’re planning a policy or process change, invite those who will be most directly affected to offer their perspective. What you’ll often discover is that what is challenging for you comes naturally to someone else. You’ll also find that when you’re at your best living into your strengths, you may even be annoying to someone else who is wired differently. Working on a team with diverse perspectives is not easy, but by bringing together unique perspectives, pushing through the differences, and building on the ideas of each other, the end product will be greater than what any one mind could achieve on its own. So, who needs to be on your team?